3/1/12: More Beauty, Less Beast: Transforming Your Inner Ogre, releases! 6/16/12: “So You Want to be a Published Writer …” FREE workshop for aspiring writers of all genres who want to learn how to get their feet wet in the sea of publication. 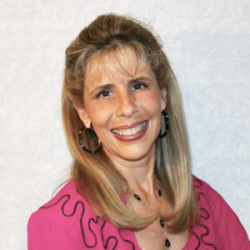 Join award-winning author of 13 books, Debora M. Coty, at One Thing, 732 W. Lumsden (in the La Viva shopping plaza by Play It Again Sports) from 1 -2 pm. Come early at 12:30 pm to meet the author and enjoy a latte at the cafe. Call 813-681-7516 for info. 07/30/11: (free writing workshop) So You Want to be a Writer … Truth Christian Bookstore, 1 – 2 p.m., 301 S. Collins St., Plant City, FL. Call 813-363-1582 for info. 08/13/11: LifeWay Christian Store, Brandon, FL, 169 Brandon Town Center Dr, Too Blessed to be Stressed book signing 1-2 pm, So You Want to be a Writer … (free writingworkshop) 2-3 pm. Call 813-653-9828 for info. 08/25/11: FaceBook Launch Party for Too Blessed to be Stressed, 8 pm EDT (7 CDT, 6 MDT, 5 PDT) Join us HERE. 10/29/10: Radio Interview, Margaret McSweeney’s “Kitchen Chat,” 11:00 AM.